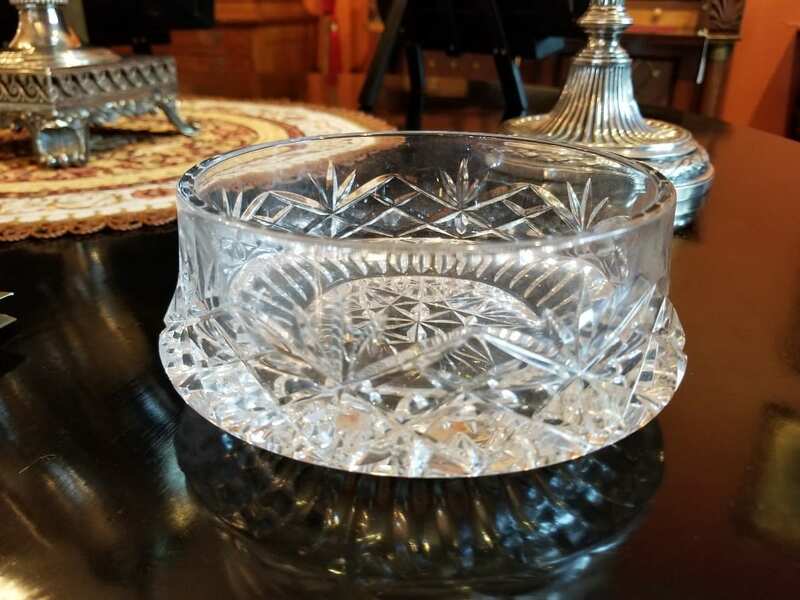 Irish Dublin Crystal 6 inch Bowl. 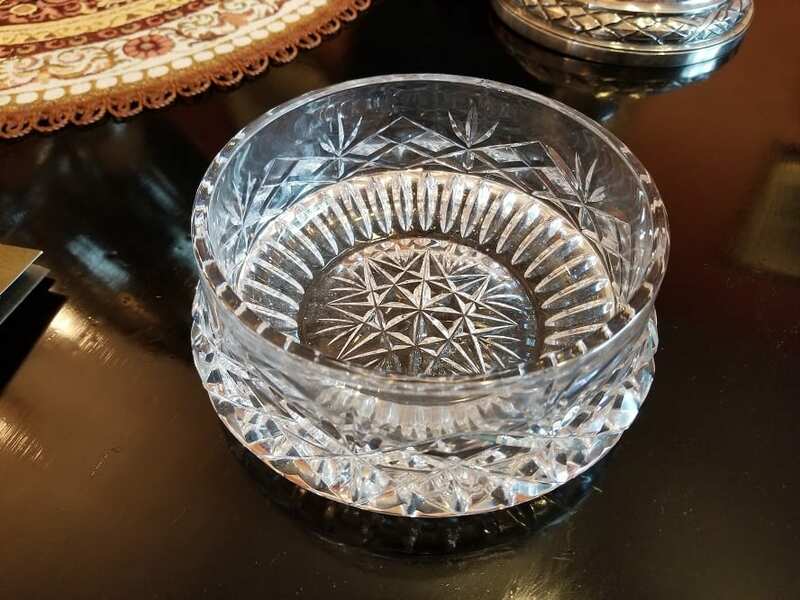 PRESENTING a Lovely little small Irish ‘Dublin’ Crystal 6″ Bowl. IRISH CRYSTAL: Irish Crystal is WORLD RENOWNED as some of the finest and most collectible crystal on the Planet ! 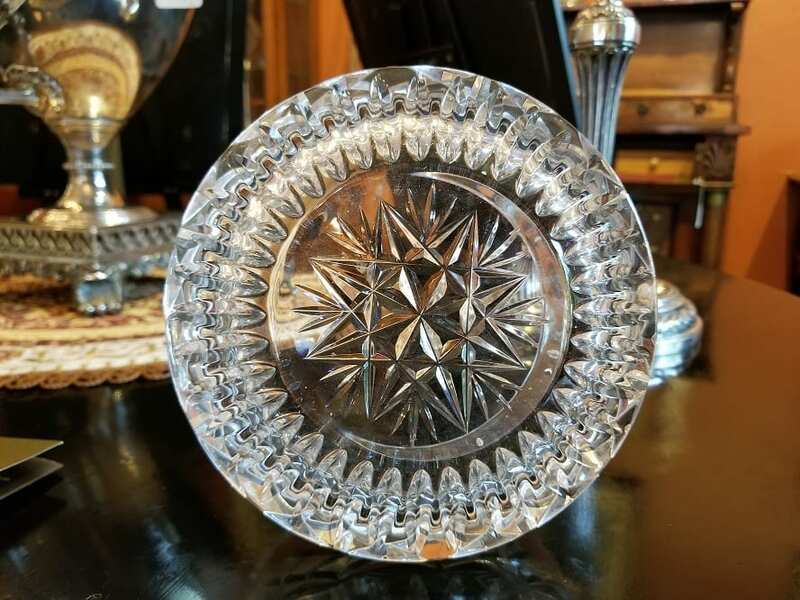 Many famous makers of Irish Crystal have existed over the years: Waterford, Galway, Cavan, Dublin, Tipperary, Donegal to name but a few ! 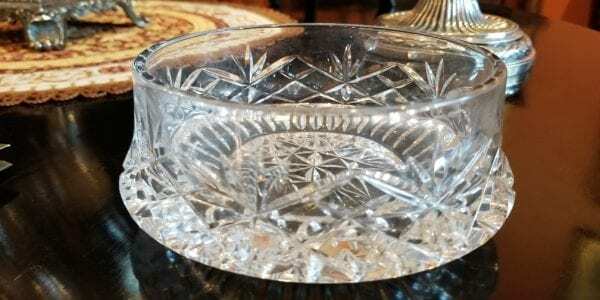 Crystal that has definitively been made in Ireland is the most collectible of all. All our crystal is 100% Irish made. We are not certain which Irish maker made this stopper as we cannot find a mark. Waterford marked ALL of their pieces. 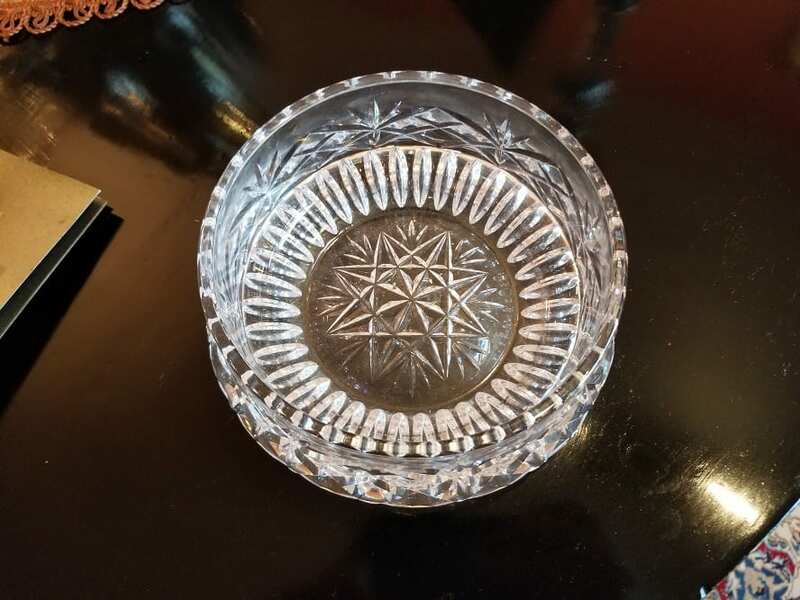 We think it is most likely Galway Crystal due to its weight.....Galway Crystal is usually noticeably heavier than other Irish Crystal....even Waterford !